News TV Channel / The Thai Public Broadcasting Service is a public broadcasting service in Thailand. It was established by the Thai Public Broadcasting Service Act, BE 2551 (2008), which came into force on 15 January 2008. Under this act, TPBS holds the status of state agency with legal personality, but is not a government agency or state enterprise. 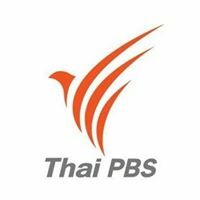 TPBS operates Thai PBS, which was formerly known as iTV, TITV and TV Thai television station, respectively. Thai PBS is a public television station broadcasting in UHF Channel 29. The station broadcasts on a frequency formerly held by the privately run channel, iTV. Thai PBS tested its broadcasting on a temporary frequency appropriated by Television of Thailand (TVT or TV 11 Thailand) at TVT New Phetchaburi Road Broadcasting Station (presently National News Bureau of Thailand headquarters) from 15–31 January 2008, and it started airing its programs on 1 February 2008.